Shipping: Orders over $35 ship free everyday. Iced Chee Salt Factory E-Liquid 30mL from Air Factory is a refreshing blend of fruits that together create a flavor you will not easily forget. Salt Factory's Iced Chee flavor first hits you with the taste of fresh Lychee fruit. That is then followed by a mix of other exotic fruits and an icy cool menthol aftertaste to finish it all off quite nicely. This company has been making top shelf liquids in their clean lab facility based in California for years now. If you're in the market for a quality juice you simply cannot go wrong with Air Factory. Each liquid is made with a perfect 70/30 VG/PG blend in 30mL child-resistant bottle with two nicotine strengths to choose from: 35mg or 50mg. 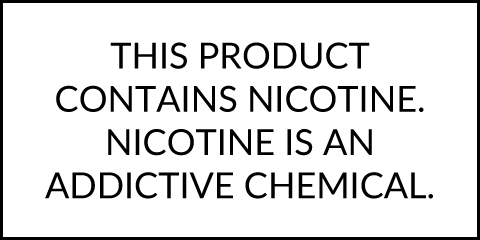 Please note Salt E-Liquids are manufactured with high amounts of a salt-based nicotine, therefore they should not be used in high output sub ohm tanks or dripper atomizers. These liquids are intended for use with low output Pod based devices like the Suorin Drop or Boulder Rock.